When we think of big Hollywood stars like Chris Evans, we imagine the luxurious, glamorous lives they must lead. Big houses, fancy cars, only the top restaurants, etc. But it’s important to realize that these people also dedicate a tremendous amount of time to their careers, often spending many months of the year away from family and friends in order to shoot projects in various parts of the world. This is especially true of those who are tied to mega franchises, like Evans. The Captain America actor has been a fixture of the Marvel Cinematic Universe for years now and it’s been a gigantic commitment for him, having appeared in five films so far for the company, with at least two more to come – and that’s not counting uncredited cameos. As you can imagine, signing on to be a part of something like that must be pretty daunting, and Evans recently spoke with The Telegraph about exactly that. Looking back on it all though, Evans says that he feels lucky to be part of such a franchise, noting how Marvel’s effective productions made the job easier. Next up for the actor is Avengers: Infinity War, which was supposed to be his last outing with the MCU due to his contract being finished. 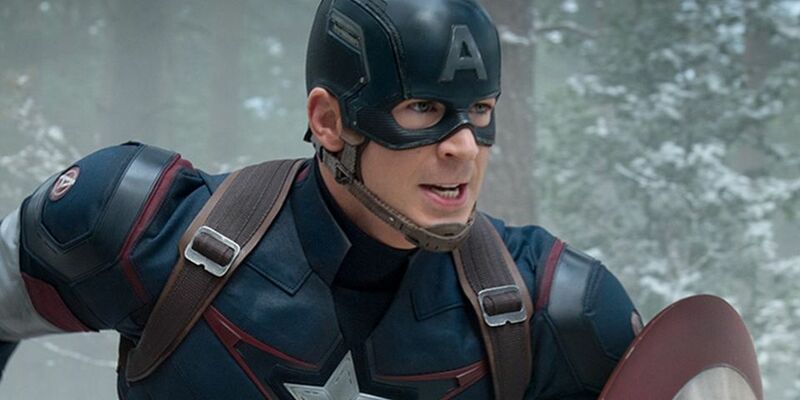 Evans ended up staying on board for one final film though (Avengers 4) in order to properly wrap up Cap’s arc, which was no doubt the right decision. After that, however, we imagine he’ll move onto other things and far away from the superhero genre. He’s already shown an interest in directing with Before We Go and was recently seen in Gifted, which tells us that he’s into doing some smaller scale work, too. Wherever Evans goes next though, he’ll always be fondly remembered for his defining performance as Captain America, one of the greatest big screen superheroes we’ve ever had.